Heritage Day (24th September) is a time for South Africans to come together to celebrate their diversity, teaching young people to believe in their future in a country that belongs to all South Africans. 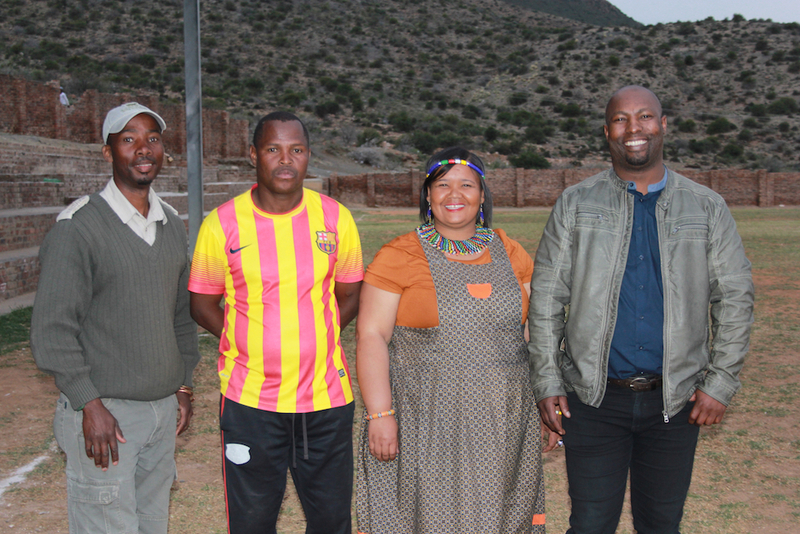 It is in this spirit that Samara sponsored the inaugural Heritage Day Football Tournament in Graaff-Reinet. 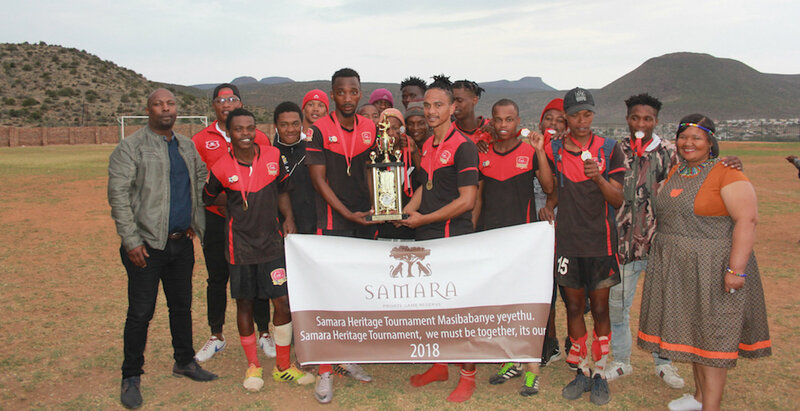 The inaugural Heritage Day Football Tournament, sponsored by Samara Private Game Reserve, took place over two days at the uMasizakhe Soccer Stadium in Graaff-Reinet on 23rd and 24th September 2018. "This tournament was a way of motivating the youth to challenge themselves and think about their reason for being on this earth." The knock-out football tournament brought together 8 teams of boys aged 15 to 30, mainly from the communities of Asherville, Kroonvale and uMasizakhe. The winning team were the Dangerous Darkies who beat the Portical Birds 3-0 in the final after Greg Davids scored two goals in the last five minutes. 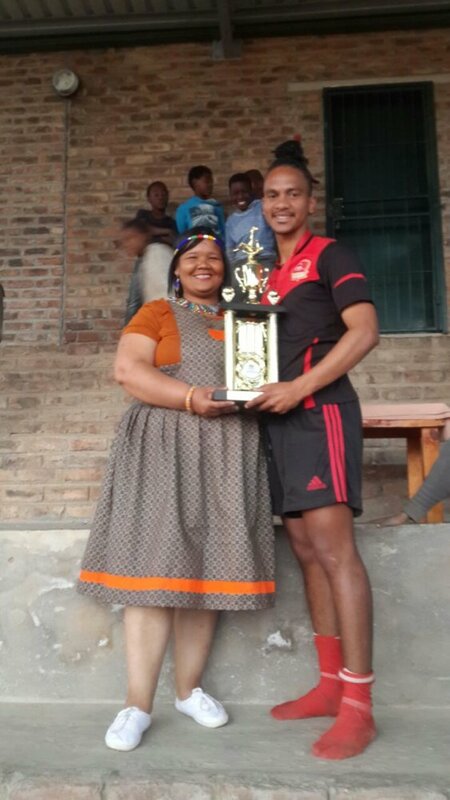 He was named Man of the Match – an impromptu but deserved accolade. As Anneley puts it, ‘it was not part of the arrangements but if you see someone doing well you must praise and support them.’ Third place was taken by the Morocco Eagles. Each player in the top three teams received a medal. Representatives from Samara (Anneley Gradwell, Julius Mkhize), the mayor’s office (Mr Thembile) and the local soccer club (Mike Majova, Mr Galada) attended the event. When it comes to the future of the tournament, Anneley is adamant that this is just the beginning. She is passionate about the project and would like to see the event extended beyond football to other sports like netball, and across age groups to include 13 to 15 year-olds. She also hopes to involve schools and eventually the entire Beyers Naude municipality, including those living on farms in the region. The slogan for the tournament, Masibabanye yeyethu sonke, encapsulates the spirit of the initiative, based on inclusivity and accessibility, hope and opportunity: ‘We must be together, it’s ours’. In other words, the future is ours for the taking if we work together. Samara Private Game Reserve would like to thank all those who participated, contributed and supported the Heritage Day Football Tournament. We hope to continue this tournament year after year, and look forward to working with other stakeholders to encourage the youth of the region to believe in their future.